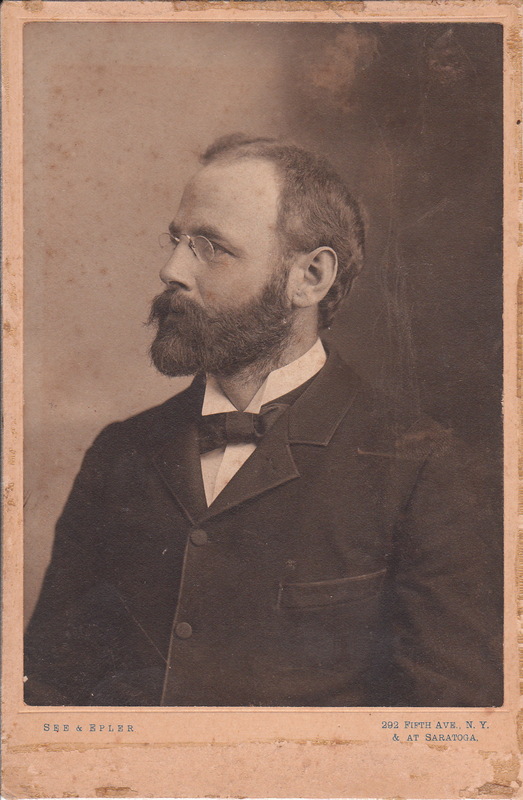 The gentleman pictured in this cabinet card has the appearance of a scholarly man. 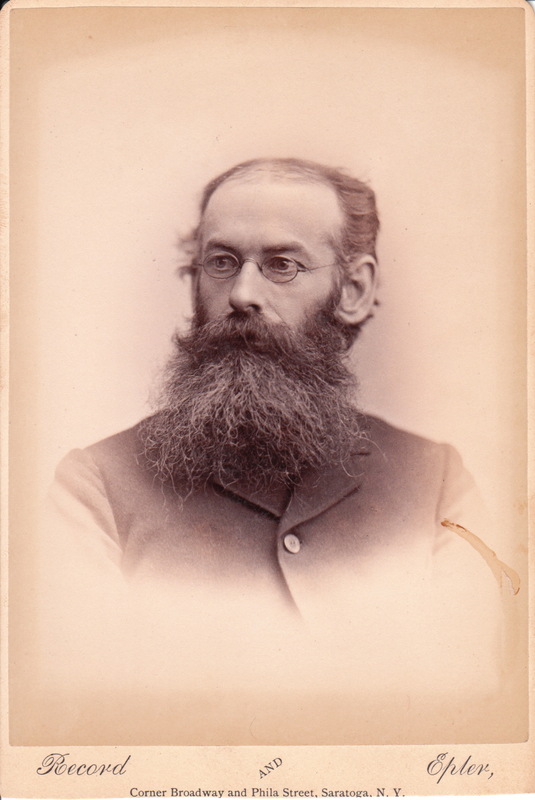 The man’s pince nez eyeglasses, and his beard contribute to his studious look. Pince-nez glasses are a style of spectacle that is supported without earpieces, by pinching the bridge of the wearer’s nose. The name has French origin and this type of eyewear reached peak popularity between 1880 and 1900. The photographer of this cabinet card is H. T. See & H. (I. or J.) Epler. The middle initial of Epler is unclear in the reference where it was found. An advertisement for the See & Epler studio appeared in the Columbia Spectator (1899). The advertisement stated the studio was the “Photographer to Columbia University” and that the firm offered special rates to students. 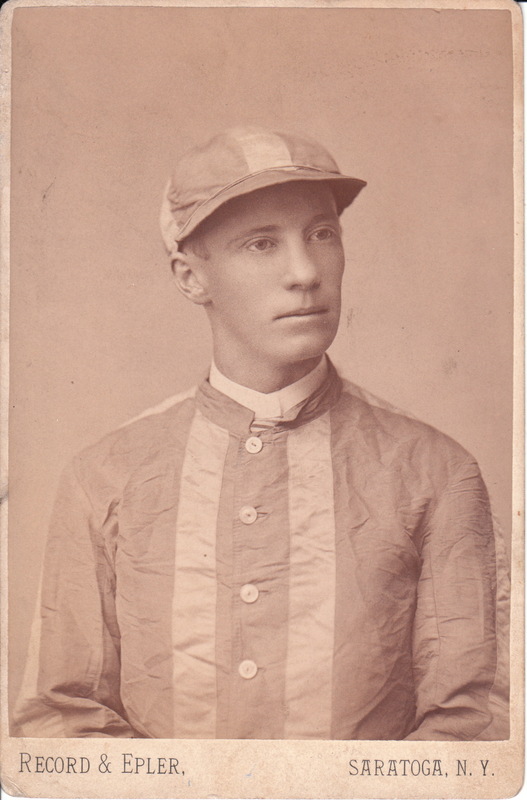 The studio was located in New York City and Saratoga, New York.